Uno or Pro Mini? Bluetooth or wireless? 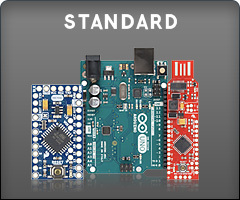 When it comes to Arduinos, there are a lot of choices. 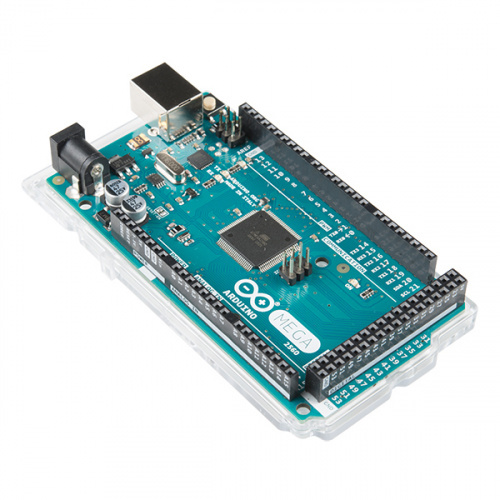 We've compiled every Arduino development board we carry, so you can quickly compare them to find the perfect one for your needs. If you're not quite to the spec sheet stage yet, head over to our Choosing an Arduino for Your Project guide. Quick take: Having the microcontroller in a larger DIP package means it can be removed or replaced easily. Quick take: Microcontroller is in SMD package, which makes it harder to remove or replace. 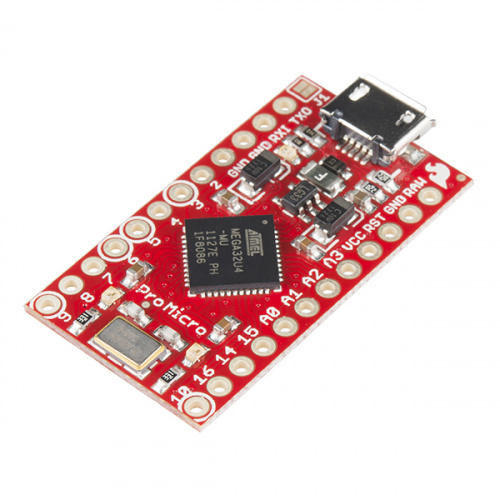 Quick take: Like the UNO R3, but cheaper and uses an FTDI, which means different USB drivers. Quick take: Just like our trusty RedBoard featuring a Qwiic connector among other new features. 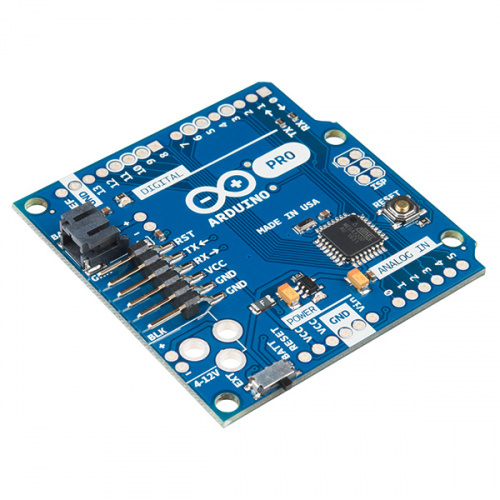 Quick take: Very popular bare-bones, small Arduino board with 5V I/O. 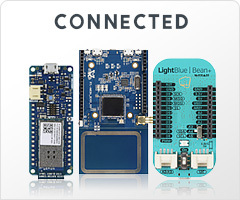 Separate USB-to-Serial board/cable is required for programming. 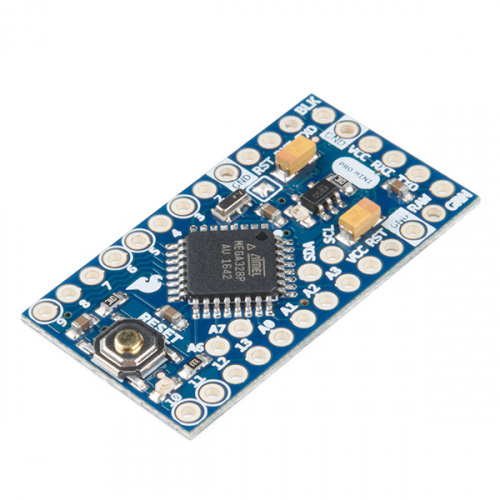 Quick take: Very popular bare-bones, small Arduino board with 3.3V I/O. 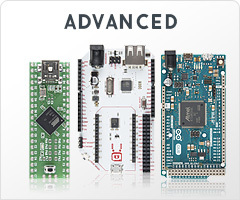 Separate USB-to-Serial board/cable is required for programming. Quick take: Good for when you need lots of GPIO pins, more than one UART port, or more memory for your program. Quick take: Small form-factor board that can act as a USB mouse or keyboard, which is fun for making custom computer peripherals. 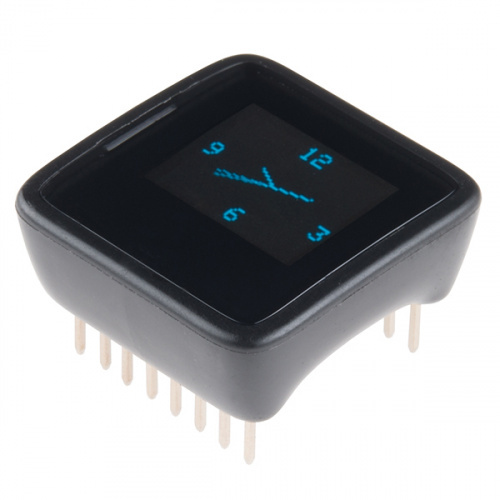 Quick take: Tiny module with built-in display that's great for creating simple user interfaces. 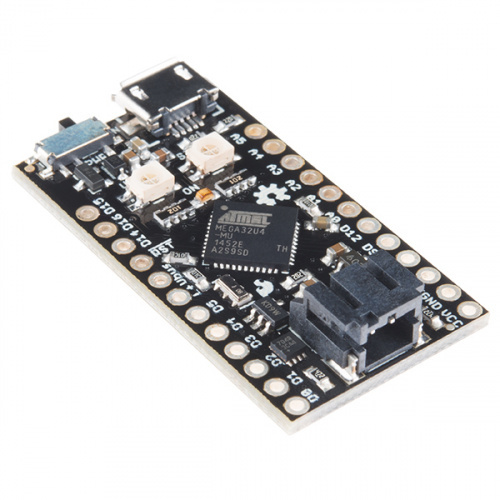 Quick take: Similar to the Pro Mini but with a battery charger and XBee socket. 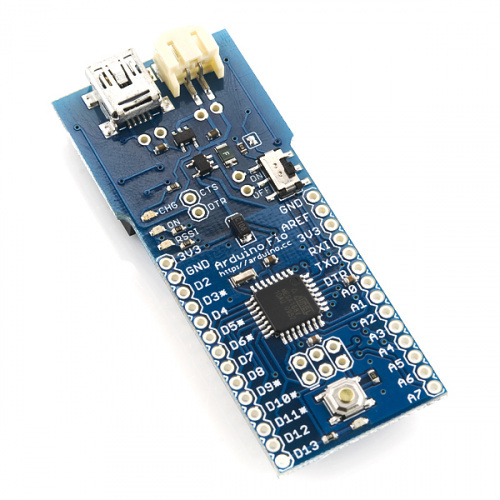 Separate USB-to-Serial board/cable is required for programming. 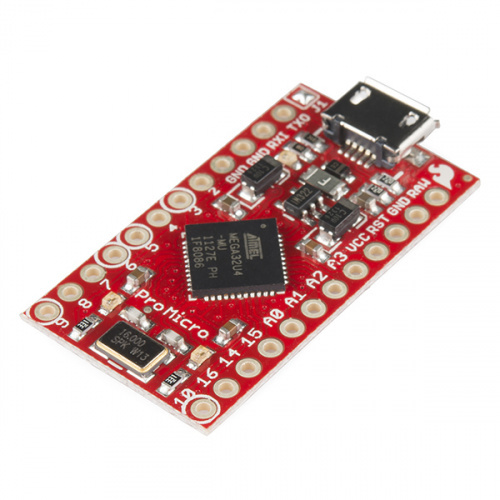 Quick take: Similar to the Pro Micro but with a battery charger and XBee socket. 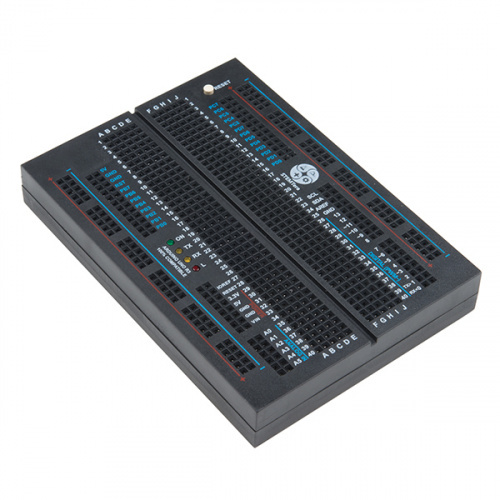 Quick take: The microcontroller is built into the breadboard, which makes prototyping electronics much easier. Quick take: It can act as a USB mouse or keyboard, which is fun for making custom computer peripherals. Quick take: Bare-bones Arduino board with 5V/I/O. 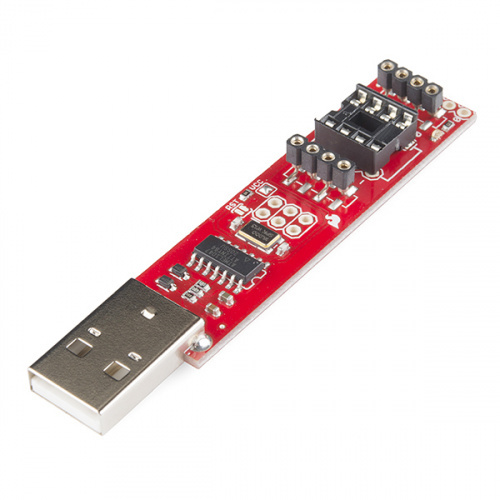 Separate USB-to-Serial board/cable is required for programming. 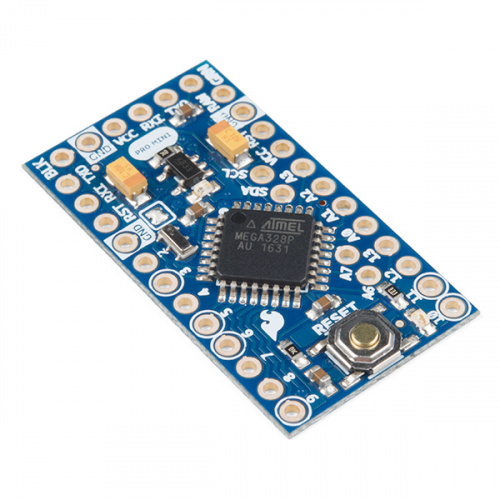 Quick take: Bare-bones Arduino board with 3.3V/I/O. 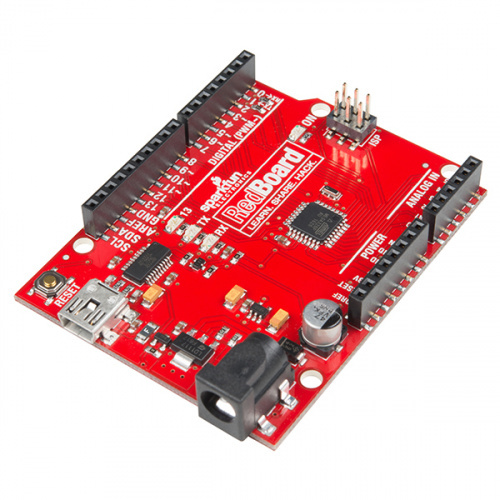 Separate USB-to-Serial board/cable is required for programming. 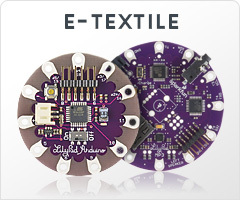 Quick take: Similar to the Pro Micro but with a battery chargr and some multi-color LEDs. 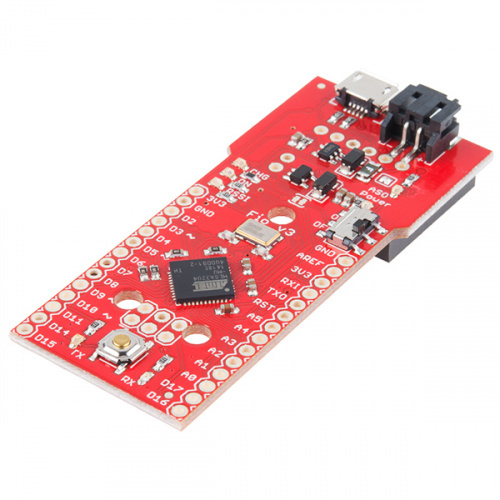 Quick take: Smaller version of the SparkFun RedBoard that can be plugged directly into a USB slot. Quick take: Originally created as an event give-away. Can be used to control TVs. USB drivers may not work on all computers. 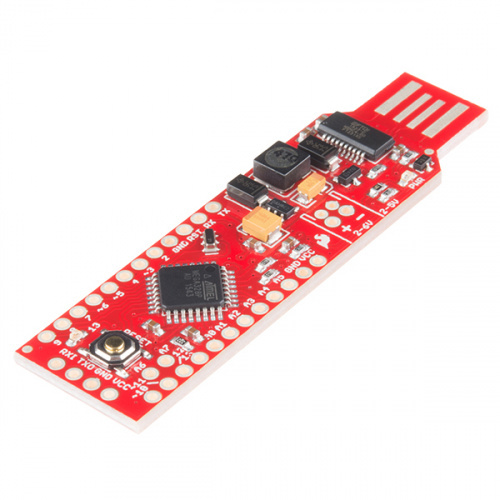 Quick take: Requires external crystal and USB-to-Serial board/cable to program. 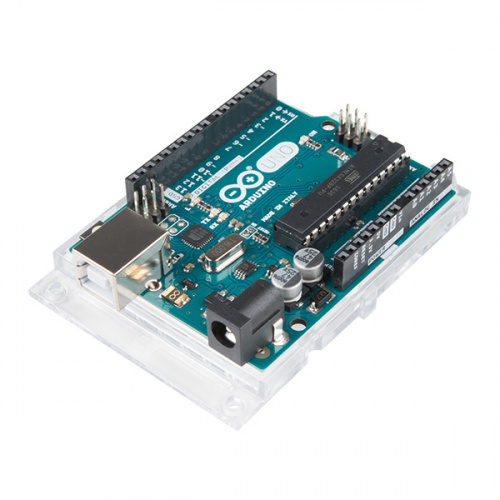 Can be used as a replacement for the microcontroller on the Arduino UNO R3. 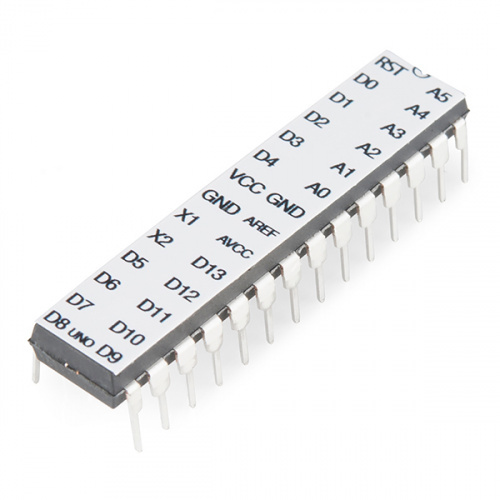 Quick take: Used to program the small, low-power ATtiny85 from Arduino. Requires separate ATtiny85 to work.